Classic Fuel Injection - Will it fit my vehicle ? Our systems are designed to fit as many different vehicles as possible. By keeping the system simple and adaptable it should be possible to fit the system to virtually any classic car. Our kits can be used on small 4 cylinder engines, straight 6's or a large V8. You can either purchase the individual components from us and fit them to your own vehicle or you can make use of the kits we offer. These kits will contain all the common major parts you need and will also have vehicle or carburettor specific adaptors. Utilising these optional adaptors means fitment is little more than a bolt on process and more importantly you do not need to drill or machine the inlet manifolds on your vehicle. Classic Fuel Injection - Do these kits give me electroinc igntion or do I need to fit separatly ? All aspects of the ignition system are fully controlled by the ECU using our High Energy Igntion Module ( often referred as a HEI system ). This means you do not need contact breakers, condensors etc. and benefit from an ignition spark with much higher energy for a more complete combustion process. The ECU takes cares of all apsects of the igntion system, such as when to charge and fire the ignition coil, calculating the dwell time and of course the entire ignition system is fully programmable within the engine ECU. Classic Fuel Injection - Do you have Vehicle specific kits Ready to Fit and Drive ? These Ready to Drive kits are only offered for general release once we have satisfied ourselves that they suit the vehicle and engine type concerned. This means we can offer a ready calibrated and tuned kit to suit a specific vehicle which can simply be fitted and driven. With no the need for calibration and self learning on your vehicle, we supply these kits without the wideband sensors and hence the selling price is lower. Classic Fuel Injection - Can I fit it ? Our systems are easy to fit and set up. If you have some basic mechanical fitting skills then you should not have a problem fitting the system. For the initial setting and calibration work you will need some basic PC knowledge and a laptop but again this is easy to do as much of the hard work is done automatically for you by our software. We can also offer a full or partial installation service if you prefer. Classic Fuel Injection - Is it true all I have to do is Drive and the CFI System teaches itself ? During self learn the CFI system continually monitors the exhaust gasses and uses these results to correctly calculate the correct amount of fuel required at any given time. To initially calibrate or map the system all you need to do is connect your laptop and run the software and then drive the vehicle. It will then monitor the fuelling and automatically adjust the fuel maps as required, all you need to do is drive. The 3D tables allow you to specify 100's of individual values of spark ignition timing and fuelling based on engine speed, throttle angle, manifold vacuum etc. Normally after just a few varied driving trips the system will have learnt all it needs. At this point you no longer need the laptop and you can just drive the vehicle as you would normally. 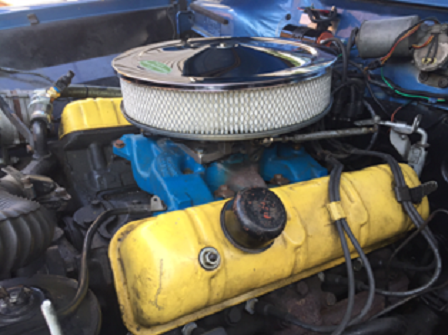 Classic Fuel Injection - How Does it Save Fuel and Give More Power ? Quite simply because both the fuel delivery and the ignition system are much more accurately controlled than with the original system you can make the most of every drop of fuel. You do not have to run the system over rich just to get it to drive or start, the ECU will determine the exact amount of fuel required at any given time and make sure the engine receives that and no more. By having a fully computer controlled ignition system you can specify the ignition advance at any engine speed or load rather than relying on the inaccurate centrifugal weights and vacuum advance mechanisms. This means the ignition advance can always be set to exactly what is required for best power and economy. Classic Fuel Injection - What are the Major Parts I will Need ? 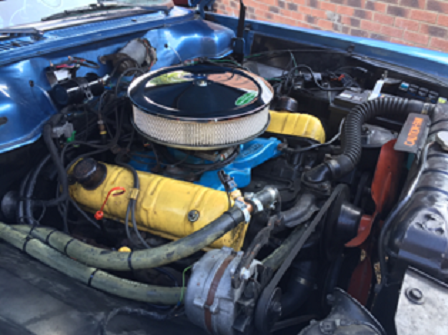 Classic Fuel Injection - Do you offer support and help ? In addition to our full installation, initial setup and calibration services we can also offer help and advice for your own installation.